Friends now a days big scams had become a very common thing their is nothing special if their is a big scam in India. Scams are like the TV shows which are reoccurring after a short period of time again and again. An average Indian citizen who is very hard working and is dedicated towards his work and duties also becomes the prey of corruption when he faces that corruption is spread every where in the country if he goes for a job interview the person who is taking interview gives him an offer of paying bribe, when he goes to a government or private institution if he wants that his work should be completed in a proper time then he is suffering from paying bribe and their are endless such things. So there hit an Idea of creating the list of top 5 scams in India. Hear comes the list of top 5 scams in India. 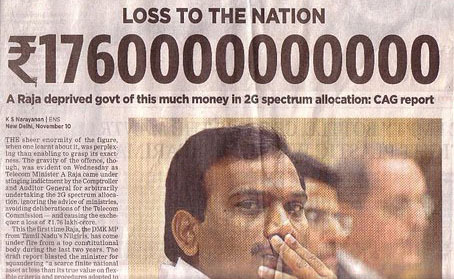 We as Indians had gone through several scams but this was the biggest which I had seen in my life. when I had listen about this first time I even can't believe that how a man can throw the government of his country in the loss of Rs.1,76,000 crore. If this much amount of money the government of India had spent if the favor of country then this money can be used for betterment of 20 crore Indians who are living their life below poverty line. 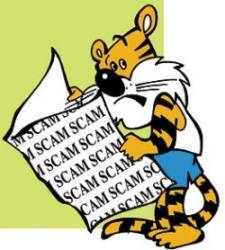 Another name in the list of Indian scams is the commonwealth games scam this was not just a scam it was a robbery. There was a budget of Rs.90 crores which was to be spent on the games but the appropriate amount was not spent and hence there was a lack in the quality of stadium and only half amount was spent on the Indian sportsperson according what was the budget which was to be spent. 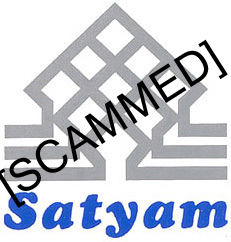 One of the biggest corporate scam had also taken place in India Satyam scam which is one of the biggest corporate scam.and this was from one of the biggest Indian scam of 2009 Indian scams. In this scam the former chairman of the company Ramalinga Raju had kept everyone in dark by fudging the account books for several years & he was inflating revenues and profit figures of Satyam. This was a major corruption scandal of 1980s and 1990s in India. 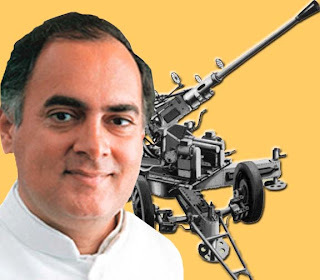 Politicians of congress party had initiated this scandal implicating Rajiv Gandhi, prime-minister & others who were accused of receiving kickbacks from Bofors AB for winning a bid to supply India's 155 mm field howitzer. The cricket is the game which is living in the heart of Indians and majority of Indians don't even like any other game WOW. but now a days scams had even entered to the cricket in the latest season of IPL their were many NEWS spreading regarding the match fixings, match was only organized for making money etc. So friends this was the list of top 5 scams in India. and they were very huge scams the amount of money which these people had put in their stomachs if used for the betterment of country then many people who are not getting not even proper food to eat would had got a proper amount of food, the children who are not getting proper education could get proper education but what can we do now. we can do is only STOP paying bribe if we want to make India scams and bribe free. ya we are having a huge amount of scams in our country. Humm These are top 5 and their are many more too. @Anonymous You had put a very good poing. this are only top five and small scam in India which are outcome daily are countless. in each state corruption spread in huge amount.but this big corruption (top 5 which mention ) destroy our country balance from that our country is poor and become poor in future. and for that reason we face a problem like poverty and dearth in daily basis. so wake up and fight against corruption.